Our experienced and knowledgeable independent mortgage brokers cover the whole of the Edinburgh area from Newbridge to Musselburgh. We can assist Edinburgh residents with purchase mortgages, re-mortgages, first-time home buyer’s mortgages, buy to let, or bad credit mortgages. 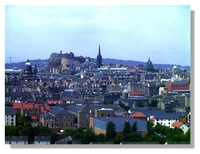 Whether you live or work in the Edinburgh area, we are your first port of call for Independent Mortgage Advice. The Halifax House Price Growth Index figures for the Edinburgh region in 2011 showed a figure of 406.8 which was 3.5 points down on the previous year.